Jaya started practicing yoga in 1995 and has explored many styles since. 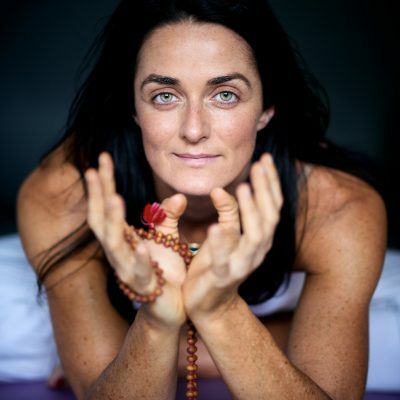 She completed an intensive 9-month teacher training in Byron Bay in 2003 and taught at Brahmani Yoga (former Purple Valley) in India until 2008. Jaya now lives and works in London and periodically leads retreats within the UK and abroad. Jaya teaches a dynamic flow style that combines the integrity, precision and alignment of Iyengar with the movement and breath awareness of Vinyasa. Her most influential teachers include Glenn Ceresoli, Louisa Sear and Clive Sheridan. Jaya’s technique tends to suit students of varying abilities, as they can be both calming and challenging. Most important, Jaya creates a safe and nurturing environment that encourages self-discovery and non-competitiveness. She is particularly skilled at one-on-one adjustments. As well as strengthening the body and increasing stamina and flexibility, Jaya’s teachings help create a more peaceful mind, a more open heart and a more grounded attitude, all of which can help no end in today’s hectic world. Jaya is also a Yoga Therapist, certified to teach Pregnancy Yoga, Yoga Nidra and Chakra Dance. Raquel Alves started teaching in 1992. She is qualified with Para Yoga (Rod Stryker), BWY, Sivannanda. Originally from Africa, she now lives in the UK. Her teachings draws from many styles, and has a strong pull towards Tantra , but calls on her years as an Ashtanga practitioner and her years doing Iyengar yoga. She also loves to incorporate restorative relaxation techniques and meditation and on occasion chanting – accompanied by the harmonium. Her personal practice draws on her current teacher’s teachings, she also assists him when he is teaching in Europe. She is a a 500 hrs yoga alliance Eyr (senior teacher), currently is a tutor and Mentor on the Yoga Campus Teacher Training Programme. She also runs her own teacher training with ‘Wellbeing Space’ in Surrey. She brings a wealth of knowledge to her teaching, with great attention to alignment and empowers her students to have fun and to enquire within, aiding them to empower themselves. Catherine Annis is well known for her imaginative and practical approach to yoga. She is a member of the Triyoga teacher training faculty, and launches Intelligent Yoga Teacher training, a 200 hour BWY accredited training with Peter Blackaby and Gary Carter in 2018. Originally a professional dancer, Catherine discovered yoga as a teenager, and has been practicing for more than 35 years. Having explored Sivananda, Iyengar, Astanga and various forms of Hatha yoga, she eventually gravitated to the teachings of Vanda Scaravelli. Catherine’s practice and teaching focuses on deepening physical awareness and alignment to reveal the natural freedom of the body, particularly the spine. She is an attentive and thoughtful teacher, and highly skilled at adapting poses to accommodate all levels and types of students, so that everyone leaves class feeling that they have made a fresh discovery about their yoga practice. 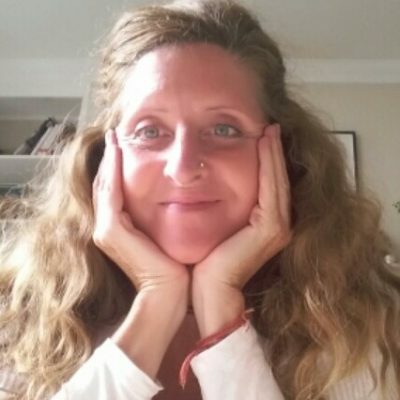 Catherine teaches regular weekly classes in London and leads retreats at various locations in India and Europe. She created the first Scaravelli inspired immersion course, which is now held annually in Sussex, and is regularly invited to teach workshops throughout the UK, and internationally. In yoga Ash has found a tool for liberation, a means to heal and to awaken our deeper authentic selves. After spending a number of years as a secondary school teacher, Ash turned to yoga as a full time path. She has taught and travelled internationally, including five years teaching in Malaysia, China and Thailand and on the Freedom through Movement project in Palestine. Ash embraces influences from many movement patterns in her yoga teaching – rock climbing, running and freediving are woven into dynamic vinyasa, steady bodywork and peaceful breath-centric restorative practices. Inspiration for her classes is rooted in the Earth’s elements and in the bodies and stories of the students that she welcomes. Ash lives a full life, teaching in Bristol and as one half of the duo Handstand Yogi. Ash has just completed her first book The ‘Handstanding Yogi’ which is currently in the top 100 yoga books on Amazon. Jodi feels that yoga is a precious gift and one of the greatest influences in her life. Drawn to sharing yoga with others, she began teaching in 2001. With a background in Iyengar, Vinyasa and Ananda yoga, a devotional style of yoga based on the teachings of Paramhansa Yogananda, Jodi draws from these traditions to create a fluid, creative and meditative practice. She teaches to inspire students to journey inward; nourishing themselves, deepening their intuition and honoring the divine within. She teaches yoga retreats and trainings internationally, and most recently spent six years living in India, where she co-directed Satsanga Retreat. In addition to teaching yoga, Jodi is a massage therapist, student of Ayurveda, working toward her certification as a practitioner and writer. Tania has been leading inspirational classes locally and internationally for 12 years. She has a unique ability to naturally inspire a deeper understanding of the flow of breath, movement and the mindful connections of yoga. Her teaching emphasis is on the power of the breath to manage and open the body, postural alignment, yogic philosophy and the integration of yoga principles into daily life. She is passionate about promoting health, vitality and well-being through yoga, but in a light-hearted and fun way. Tania’s practice began with her dad as a teenager. After 20 years of regular yoga practice she studied with the Amrita School of Yoga to qualify as a Traditional Hatha Yoga teacher. She has also studied with Claire Missingham (Vinyasa Flow) and Nigel Gilderson (Hatha yoga) amongst others. Most recently Tania is proud to be a student of Judith Hanson Lasater and Sarah Powers (Yin yoga). She continues to develop infusing the different schools of yoga to give a rounded class reflecting the best of all the schools of yoga she continues to study. Karen teaches mindful and accessible yoga for real people. Having had tight hamstrings and hips for most of her life, she understands how challenging the practice can be for most. Drawing from her wealth of experience in Vinyasa Flow, Restorative and Pregnancy Yoga, she teaches intuitively with warmth and humour – and is passionate about the therapeutic and healing benefits of yoga, having witnessed them first-hand for herself. First discovering yoga almost 20 years ago at the Glasgow Buddhist Centre, she completed her first 200hr teacher training with Yoga London following an inspiring trip to India. She gained her second 200hr certification with Claire Missingham and qualified in Pregnancy Yoga with Nadia Narain. Karen has also had the privilege of studying with Judith Hanson Lasater, Kathryn Budig, David Williams, Sarah Powers and Naomi Absalom. She also holds a certificate in Reiki Level 1. Lee has been practicing hatha yoga for over 20 years and teaching for 15. She began her yoga journey with Faustomaria of Innergy yoga and went on to complete the Sivananda yoga teachers training. The path of yoga led her to complete a 2 year Lecoq physical theatre training as a mature student. Here she found she could use her yoga practice in a more collaborative and creative way. For the last two years she has been performing and touring Europe with the contemporary dance company Tilted Productions. Lee teaches hatha yoga working closely with the breath and moving fluidly through the yoga postures. This style of yoga is open to anyone of any age or physical capability, you will practice to your own ability and grow in your own connection with your breath and body. Your spine will inevitably become stronger and more flexible as will the rest of the body and through the constant awareness of the breath you will discover your ability to let go. Federica Clemente is a Yoga Alliance certified instructor who has practiced and studied Mysore Ashtanga, Iyengar and other forms of yoga for more than 15 years. 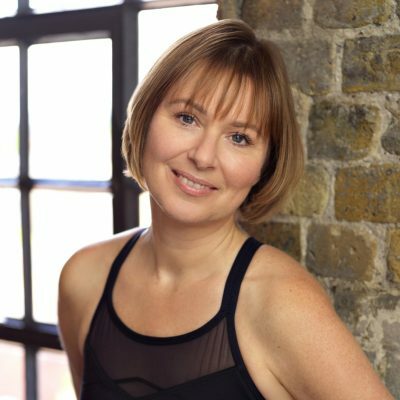 With a background in professional dance, craniosacral therapy and shamanic healing, Federica brings to her retreats a wealth of background information in the mechanics of alignment, dynamic movement, energy flow and effective healing techniques. Most importantly, she teaches with an attitude of fun, playfulness and open acceptance – after all, laughter is the best medicine! 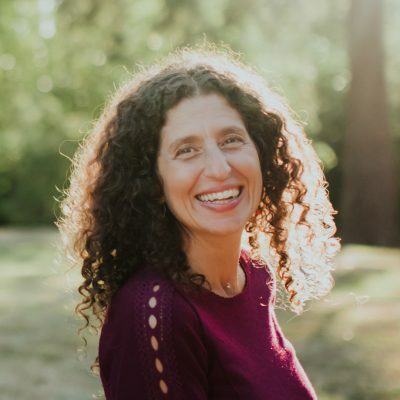 Federica is a Gestalt Counseler, an amazing effective therapy that serves also to empower you in your journey of healing, transformation and living a happy and fulfilled life. 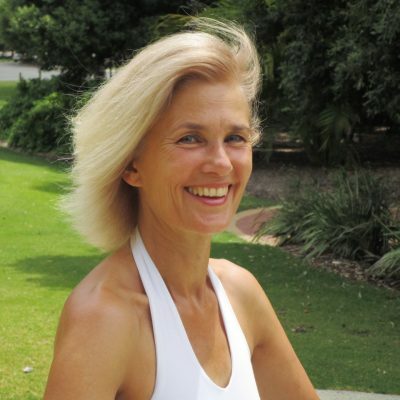 Lila is a certified Senior Yoga Teacher with Yoga Alliance and founder of Yoga Prema. She has been practicing yoga for 20 years, teaching full-time since 2001, received advanced level certification from Sivananda in 2004 and in 2007 was given the blessing to teach yoga teachers as a principal teacher within the Sivananda Yoga Organisation. Lila has spent the best part of eight years living in yoga ashrams and centres in India and Canada, being fully immersed in a yogic life of service, study, practice and teaching yoga to students from across the world. Lila has trained extensively with various schools including Sivananda (Hatha, Raja, Karma, Jnana and Bhakti Yoga), Krishnamacharya (Vedic Chanting/Sanskrit) and Usha Devi (Iyengar Yoga). As a result of years of practice, study and embracing yoga as a way of life, Lila is inspired to share the wisdom and joy of yoga from the heart. Lila spends regular periods of time in India studying and deepening her own practice. She has a highly individual and sensitive approach which resonates deeply with her students. 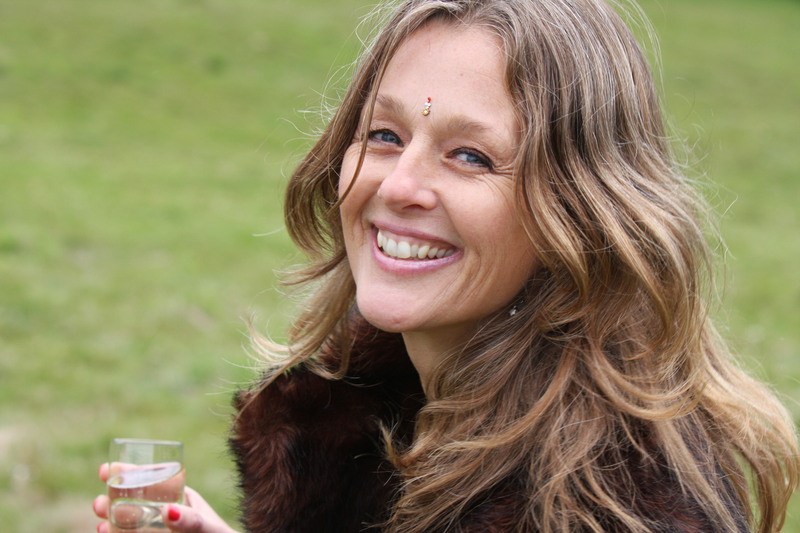 Based in the South West of England, Lila teaches weekly yoga classes, workshops, meditation and yogic study courses, international yoga retreats and yoga teacher training in India, London and Italy. Sunita fell in love with yoga as soon as she stepped onto her mat and hasn’t looked back – unless doing a backbend. Years of practicing led Sunita to embark on her journey as a teacher. She completed a 200 hour hatha yoga training with Yogahaven, a 300 hour vinyasa training and a 50hr yin training with Sampoona Yoga in India. Sunita creates a friendly and inclusive space where she encourages students to move mindfully with an emphasis on breath and good alignment. Sunita sprinkles each class with yoga philosophy to encourage students to think about life on and off the mat and apply its benefits to their daily life. Believing yoga helps us to centre and balance our lives in a way that keeps us naturally happy, healthy and emotionally stable, Sunita feels very grateful she can share the magic of yoga with others. Lisa is a 500-hour certified Vinyasa Flow Yoga teacher based at Suryalila Yoga Retreat Centre in Southern Spain. She has been teaching for nine years and practicing for the past 17. She completed a 200-hour foundational teaching training and a 300-hour advanced training with Vidya Heisel of ‘Frog Lotus Yoga’ and regularly travels the world leading yoga retreats and is a faculty trainer on Frog Lotus International yoga teacher training programmes. Her formula for teaching is to combine intelligent anatomical sequencing with continual focus on the breath whilst interweaving yogic philosophy and metaphor – enhancing the practice to bring a profound sense of well-being and aliveness. 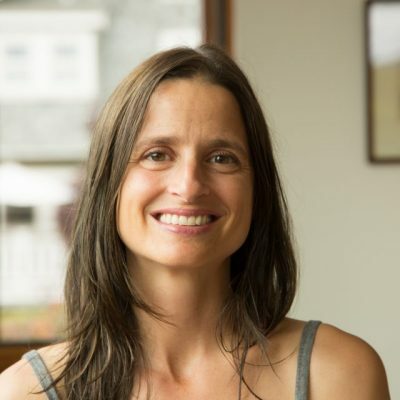 Lisa’s passion is to encourage and empower students to develop their practice, use good technique and to have a safe, life-long yoga experience. Yoga is full of magic and poetry for Annie. Over time, yoga has been the thread that ties life together. The transformative energy has healed her and her students physically, emotionally and spiritually. She has been teaching yoga in London since 2007 and trained via Yogacampus and the Special Yoga Centre. An English teacher, Annie draws inspiration from poetry, scripture, and the written word. She has a great interest in yogic philosophy within her practice, teaching and lifestyle. Annie has been fortunate enough to study with Mathew Sanford, Nigel Gilderson, April Nunes, Graham Burns, Carly Mountain, Susan Lahusen, Liz Lark and Jo Manuel. Annie feels inspiration and gratitude for the courage and strength found in being on her mat. Her classes are always finished off beautifully with a poetic offering and a deep nourishing savasana complete with blankets and massage sending you out into the world more open, aware and receptive. Rebecca has been practicing yoga since 2005 and sees it as her anchor and an invaluable tool-kit. Rebecca is passionate about what yoga can teach you both on and off the mat and how we can use yoga to be kinder and more compassionate in the world. She practices and teaches strong vinyasa and yin and her classes are playful, dynamic and usually done to music. Rebecca has a PhD in geography and spent seven months in Bangalore, South India, for her research. She fell in love with India and is always planning her next trip there. She did her 200hr training with Erin Prichard at The Power Yoga Company in London and has since trained in pre and post-natal yoga with Yoga London. She is currently taking an online ‘Yoga for All’ training with Dianne Bondy and Amber Karness and is undergoing a year-long 500hr advanced teacher training with Erin Prichard. 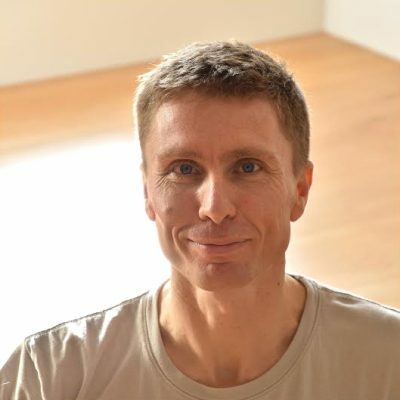 With over 35 years experience in Yoga and bodywork, Ken has worked as a movement therapist, having studied dance and psychology. He is trained in The Feldenkrais Method, Awareness Through Movement. An American based in London since 1980, Ken has developed his own style of teaching, bridging the space between flowing Hatha Yoga and the gentle understated, spiralling Feldenkrais movements. He teaches his unique ‘Yoga with Awareness’ holidays internationally. Ken’s yoga classes and ‘moving meditation’ sessions are suitable for all levels. In a focused and yet playful way, Ken integrates Yoga with Feldenkrais. His intuitive and spontaneous hands-on approach emphasises the benefits of using your breath and developing an awareness of your inner process. Participants learn to use their bodies with intelligence, awareness and efficiency, exploring movement in a way that is both developmental and restorative. He seeks to work with you, by developing core movement, and helping you tune into the constant flow of life energy essential to maintaining health and clarity of mind. Ken has developed a fluid technique that taps into your individual needs, releases energy and works to heal injuries or chronic discomfort. Ken’s holidays will introduce you to his unique take on Yoga – utilising influences from Feldenkrais, dance and movement-based bodywork. Tom has been practising yoga for many years in order to complement sports such as mountain biking, trail running and climbing. Through practising vinyasa, Forrest inspired and ashtanga yoga he found a passion for strong and mindful movement and has since trained and qualified as a vinyasa yoga teacher with Frog Lotus Yoga. 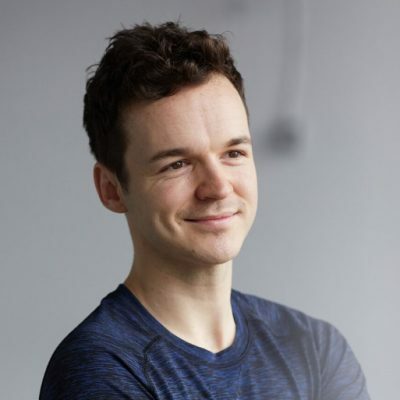 Tom has taught yoga retreats, classes and workshops in Spain and the UK and loves helping people connect with the benefits of yoga physically and mentally. He has a gift for clear instruction and direction that allows his students to refine their awareness and build confidence. Tom’s approach is to work intelligently with yoga, always balancing flexibility with strength. His classes prioritise safety and intelligent sequencing and if there is such a thing as a ‘goal’ of yoga, Tom believes it to be finding a mindful peace with yourself and extending the functional life of your body through your yoga practice. Tom’s yoga classes are fun and playful, with enough intensity and power that you’ll definitely feel the difference by the end! Before discovering yoga, Nigel was a teacher of physical education in South London secondary schools. He later qualified as a tennis coach running coaching programmes for inner city children. Drawn to the mind-body relationship that yoga offered, he trained as a yoga teacher after spending time in Mysore, South India studying with Pattabhi Jois, the guru of the Ashtanga Vinyasa yoga system. He later trained in the Sivananda yoga method and has subsequently worked intensively with Iyengar yoga, Scaravelli yoga and Shadow yoga. 20 years ago he established the Brockwell Lido Yoga Centre in south London, running courses, workshops, classes and yoga intensives in UK and abroad. He founded the Amrita School of Yoga in 2005 and established an annual 200 hour yoga teacher training programme endorsed by the Independent Yoga Network. He is currently studying a masters at London University, Goldsmiths in Dance Movement Psychotherapy. His classes incorporate the core principles of mindfulness of breath, synchronized with grounded movements made around the central axis of the body. These principles allow the student to be better equipped for dynamic action. Drawing on influences from Qi Gong and Tai Chi traditions practitioners cultivate qualities of balance, stability and ease of movement. Sharing the teachings of yoga and mindfulness is one of Ali’s greatest joys and devoted passion. She feels blessed to have had experienced many incredible teachers offering their wisdom and guidance over her 20 years practice. Ali’s yoga and meditation journey began properly in India in 1993 where she went to visit after completing her arts degree. It was an unexpected and transformational time, discovering ashram life and meeting her guru on the banks of the river Ganges in Varanasi. She dived deep into spiritual India where she studied on a one to one basis with her teacher and lived there for 2 years. Since 1998 she trained as a yoga teacher exploring many different traditions of yoga including Sivananda, Ashtanga vinyasa, Iyengar, vinyasa flow and restorative. Completing a 10 day silent ‘vipassana’ meditation retreat, navigating the quiet inner space and concentrating the mind, although challenging from there she was hooked to explore more profound breathing exercises through meditation to stay well in both body and mind. Ali describes yoga and mindfulness as a way of life and living in present moment awareness. Her teaching brings meditative insight as she weaves in mindfulness principles for reflection and self-exploration through the asana practice. Mona Godfrey (RYT E-500) teaches Vinyasa (flow), in which postures are mindfully synchronized to the breath in order to form a continuous and smooth flow. Although Vinyasa has many meanings, when broken down, the root “nyasa” in Sanskrit denotes “to place” while the “vi” denotes “in a special way”. Mona believes Vinyasa’s strength is rooted in this idea of attentive awareness. Her classes are challenging, mindful and grounding – with a strong emphasis or pranayama, energy and yogic philosophy. 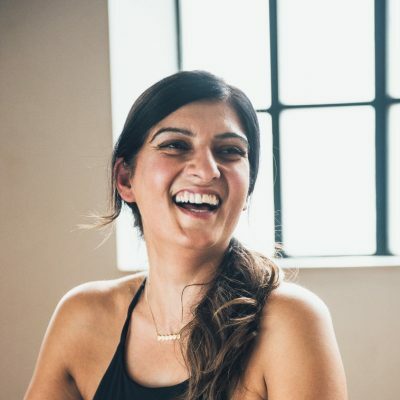 Mona discovered yoga in her early 20s and is passionate about utilising the ancient wisdoms of yoga and meditation as a platform to create meaningful change in our modern world. Originally from Riga in the former USSR, Mona relocated to Sweden with her family at the age of five. In her mid teens, she relocated once again to California. The constant movement of her childhood bred an unwavering draw to change and an insatiable hunger for different cultures, exploration and travel. In 2013 Mona spontaneously set out on a 2-year self-study through South East Asia and Oceania. She attributes her courage to follow her heart’s wild calling to the power of the practice. Mona is currently residing in London, where she leads group classes, workshops, teacher trainings and retreats. Emma Spencer-Goodier has taught a flowing hatha style of yoga since 2000 on the Isle of Wight after a career as a professional sailor. Her classes are rooted deeply in the traditions of Iyengar, Sivananda and Ashtanga, offering clarity, cultivating awareness and offering some precious space in the busy-ness of everyday living through the practice of asana, pranayama and meditation. Her teaching is woven through thematically with stories, philosophy and poetry. She creates a loving, nurturing and inclusive space for curious souls to explore their yoga practice. She is a senior yoga teacher with the Yoga Alliance Professionals and is a teacher of teachers. Emma is a yogini, a mother, a lover of wild spaces and a seeker of adventure; her guides are integrity and joy. Prompted by back pain, Belle took up yoga some 18 years ago discovering a positive shift not only physically; like a bubble of oxygen rising up though turbulent waters, yoga helped gain clarity to take the next best step forward – sometimes immediate clarity, sometimes not so immediate! Drawing from her studies across a wide rage of traditions – Sivananda, Ashtanga, Iyengar and Scaravelli – Belle teaches flowing Hatha yoga weaving asana on the breath, pranayama and meditation according to level & context. Her aim is to help students establish a sustainable, safe and enjoyable practice, leading towards greater well-being, clarity and joie de vivre! Alongside teaching, Belle continues her singing career, developing songwriting at present and performing too. She is qualified in Holistic, Indian Head and Facial Rejuvenation Massage and is currently studying for a Yoga Therapy Diploma. Belle is a practicing Buddhist. Morven’s first yoga class in 1996 was a turning point towards a transformation that has continued to unfold and has led her to share the empowerment of yoga with the community. Her training in Akhanda Yoga with Yogi Vishvketu has given her a strong background in traditional holistic Hatha yoga. She has trained in restorative yoga, tantra yoga, kundalini and dynamic flow. She is a YA accredited senior teacher and helps to guide future teachers on teachers training programmes in Bristol. Her approach is to gently guide you into greater body and mind awareness through embodied alignment principles in movement, experiential inquiry and mindfulness techniques. Through an intuitive and inclusive process she will guide you towards better physical and mental health and well-being. 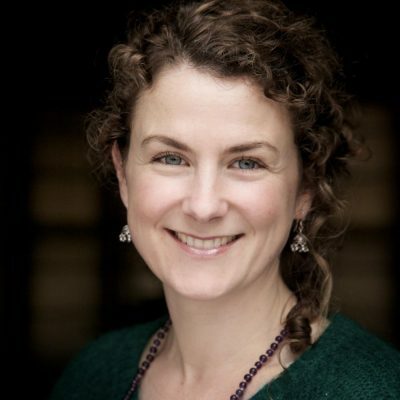 She is currently becoming accredited as a ‘Breathworks’ mindfulness teacher and has studied mindfulness based pain management and mindfulness for stress. 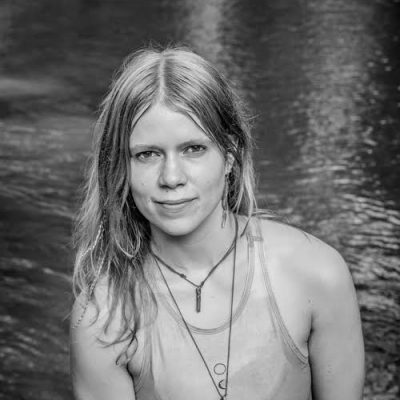 Morven loves to balance both dynamic and restorative yoga, and teaches with a sensitivity to the ever-changing environment of the world, the body and the mind. Amelia has been on her yoga journey for the past 12 years. Her love of yoga led her to travel to Southern India to gain her Yoga Alliance 200hr Teacher Training Certification at the Sivananda ashram in Kerala, under the guidance of Swami Govindananda, Swami Tatwarupananda and Swami Nivedanananda. Her Hatha Flow yoga will gently encourage you to explore your physical and mental capabilities, guiding you towards a deeper understanding of yoga and its philosophy. The atmosphere is authentic, relaxed, friendly and open for EVERY body to experience the incredible benefits of yoga. She views the discipline of yoga as a vital element to learn more about our nature as human beings. Her teachings are infused with a meditative practice to transcend the mind. They deal mostly with body and breathing practices – guiding awareness to internal states and senses, incorporating meditative postures to encourage full observation, calmness and peace throughout – bringing attention to the more subtle and positive powers within to encourage creativity, intuition and contentment. Jess qualified as a yoga teacher eight years ago and has been practicing for nearly twenty. During this time her love for yoga has led her to study traditional Hatha, Ashtanga, Iyengar and vinyasa the influences of which can be found in her teaching. Most recently Jess has found her home in ISHTA yoga and is now an E-RYT 500hr ISHTA certified teacher. She was originally drawn to yoga for its physical benefits but continues to be fascinated by the many deeper layers yoga has to offer such as eastern philosophy, Ayurveda, breath work, meditation, mantra and mudra. Teaching a mindful flow and breath-led practice with a focus on safe alignment, Jess skillfully provides a space in her classes where everyone feels comfortable and can challenge them selves safely whether they are beginners or more experienced yogis. She hopes her classes encourage more awareness, so people can connect more mindfully with their bodies, each other and the environment. She aims to encourage people to find joy in their practice. 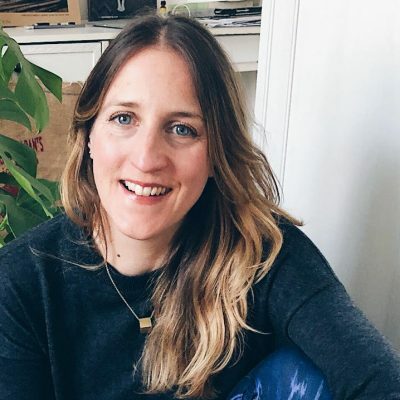 Jess teaches mindful flow, meditation, yin yoga, restorative and pregnancy yoga in Hertfordshire and London and on worldwide retreats. Everything James thought he knew about Yoga was blown out of the water in 2014 when he went to Rishikesh for his first yoga teacher training. Here he trained in Akhanda Yoga, a traditional form of Himalayan Hatha Yoga, developed by Yogrishi Vishveketu PhD for western audiences. In 2017 James embarked on a year long pilgrimage to India, with an idea of spending months meditating high up in the Himalayas, in the spiritual town of Badrinath. After three weeks of retreat he realised that he still had a lot of work to do before committing to something quite as intense. So instead he spent the 12 months teaching, studying and practicing all aspects of yoga with teachers in ashrams and retreats across India. Alongside his mainstream classes, James was inspired to take the traditional yogic teachings to the special needs population, training as a Special Yoga practitioner. Wherever and whoever is on the mat, James’ teaching weaves yoga philosophy, breath work, sound, asana and meditation into classes that are sometimes poetic, always balanced. Jessica’s inspiration comes from the wonderful teachers she has met whilst working around the world. She teaches a fluid, strong but open level, very welcoming vinyasa style yoga. Studying for a masters degree in Osteopathy gave Jess a great depth of Anatomy and Physiology knowledge. You can expect her classes to have a thorough alignment focus and also to help you understand why we practice and what we are trying to achieve. Jess offers a lot of hands-on assistance and support in her classes, great if you are new to yoga and unsure where to start but also beneficial if you want to push yourself in a safe environment. Nancy began practicing yoga in 2001 as a way to strengthen her body after the birth of her first son. She discovered a life-altering way to focus her mind through breathing and movement. This is when her practice really took hold. Yoga calms Nancy, makes her less reactive, more mindful of her actions, and more accepting of others and herself. She says that it is through the practice of paying attention to the habitual way your thoughts unfold that uncover the deep grooves of the mind and layers of self that we can truly know ourselves. A regular yoga practice nourishes the heart and soul and helps you live life fully awake. Nancy’s classes emphasize clarity of alignment and a steady connection to the breath. Through clear instruction and an exploration of the eight-fold path of Ashtanga yoga, she challenges her students to move beyond the physical practice and understand the impact that cultivating self-love and awareness has off the mat. She is so grateful for all of her teachers, her students and her children all of whom continually inspire her. She looks forward to sharing this practice with you. 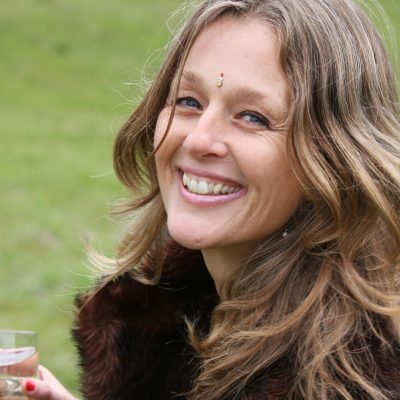 Ceri has been teaching yoga since 2001, and has over twenty years practice and experience. Her classes are Hatha based, incorporating a balance of breath focus, asana, and relaxation, built around a classical Sivananda format. 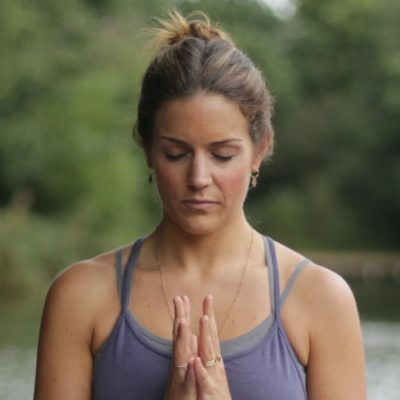 Ceri’s experience has shown that the breath is the key to connect with vital energy, and with a mindful approach, yoga can be a powerful tool for strengthening and healing the mind and body. Her style is inclusive, adaptive and accessible to all. This is fundamentally influenced by her broad spectrum of certified remedial training with The Yoga for Health Foundation, and advanced yoga qualifications in Sivananda Yoga. The inspirational teachers who have shaped her approach are Prahlada Reddy (Sivananda Yoga), Faustomaria Dorelli (Yogaloft, London), and Ellen Lee (Chairperson for IYN). Ceri teaches weekly yoga classes from where she is based in Essex, and runs specialised yoga retreats and workshops in the UK and abroad. She also teaches Postural Correction and is a qualified Reiki practitioner. Jade is a compassionate and insightful teacher who helps students to experience the profound benefits of yoga practice. She holds space for students, guiding them to become fully present and immersed in their practice. Combining hatha, vinyasa and yin yoga, Jade’s classes are creative, playful and balanced, offering something for students of all levels. Her teaching is full of precise alignment cues and intuitive assists to help you refine your practice and stay safe. You’ll develop strength, balance and flexibility, cultivating a deep connection with your body and inner self. Jade loves exploring the most beneficial practices to share with her students. Having completed a 500 hour Yoga Teacher Training with Frog Lotus Yoga International, she went on to study for an Advanced Teacher Training with Forrest Yoga. She now weaves Forrest-inspired elements into her teaching, so you can look forward to plenty of lovely core work! 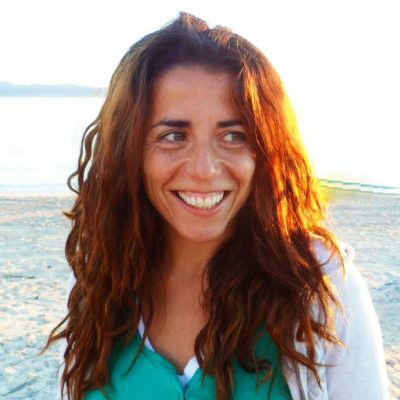 Jade has taught yoga at retreats and shalas all over the world and is currently based at Suryalila Retreat Centre in Andalucia where she writes and teaches. Maurizio has been practicing yoga in different forms since 2003 and completed his training as a hatha yoga teacher at the Amrita School of Yoga in London. The results of his own practice and his seeking spirit have led him to believe that yoga has the power to transform people’s desires, needs and attitudes towards life into something magical of the utmost importance. He is committed to exploring and meeting those individual needs and to making yoga friendly, fun and accessible to everyone. Drawing on Ashtanga and Jivamukti yoga practices, Maurizio’s teaching brings together a balance between ying and yang energies. A harmonious blend of intense, dynamic, vigorous elements counterposed by a more gentle, introspective style. This leads to a development of strength and flexibility whilst finding and maintaining an inner sense of union. A London based teacher originally from NZ, Amy first discovered yoga in 2005, having started her journey seeking more fulfillment from her love of physical fitness training, previously working in the design industry in interior architecture, she saw the benefits of her yoga practice on her incredibly stressful and fast-paced lifestyle which led her to pursue teaching to be able to share this with others. Amy describes her teaching style as compassionate, playful and hands-on. 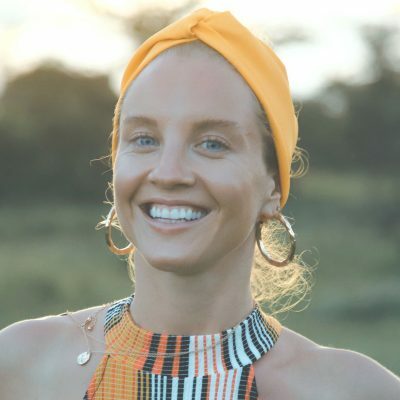 Using music, readings and the spoken word to create depth in the teachings, she aims to create a space for her students to grow and connect. Her teaching focuses on alignment and breath, attuning the practice in such a way that the students are in a space to balance body, mind and soul, while becoming holistically stronger and increasing flexibility. Her inspirations come from her teachers and her own practice, readings and research, for which she has an indefatigable appetite. Amy uses her influences to provide her students with a multi-layered experience that weaves together the physical and spiritual aspects of yoga. Amy originally trained with Yogahaven London and then went on to train extensively in the Jivamukti Yoga method completing 300Hrs with Jivamukti New York and 500Hrs Jivamukti apprenticeship in London. She has also trained with Sampoorna Yoga India (yin), Norman Blair (yin), Shiva Rea (vinyasa) and Uma Dinsmore Tuli (pregnancy yoga). Amy teaches across London, privately, with corporate clients and studios, alongside running workshops in the UK and abroad. She also holds regular retreats all over the world and teaches on teacher training courses internationally. Kate McKenzie has been practicing various forms of yoga all her adult life. She trained in Sivananda and Kundalini and yoga and has continued to study flowing forms, Iyengar and Yin Yoga. She is passionate about creativity and well-being and her experience as a performer informs her approach. 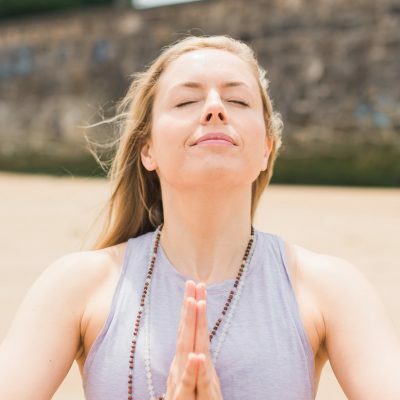 Her workshops aim to be both fun-filled and sacred, exploring the connection between breath, free movement, the poses, mantra, healing sound and chakra awareness in order to live with more inspiration, balance and self-awareness. Kate has lead “Mantra Choirs” for fun singing and improvising in groups to free body, sound and soul. Other training includes massage, Reiki, First Nature voice, Indian Rag and Life Coaching. Kate offers the online yoga and sound healing courses called ‘Living Your Heartsong’. Scaravelli-inspired yoga is revolutionary and offers inspiring tools to deepen whatever style of Hatha yoga you practice. You will be guided into a beautiful journey of waves and spirals into your spine which can lead into a slow and safe release of tension as well as a new and profound learning’s of experiencing movement. Everybody can benefit from this approach to yoga…from absolute beginners to experienced practitioners. Helen, co-director of the Yoga Health Mandala and founder of HN chavutti massage training, hosts yoga teacher trainings, intensives and seminars in India, Europe, Scandinavia and the USA. Her passion is sharing this beloved style of yoga that has brought many gifts and learnings to her life. Ishwara is passionate about Yoga, about people and the potential of people to become more loving, more intuitive and more fulfilled. Ishwara began Yoga seriously in 1991 and started full time teaching in 2003. He studied primarily with Sivananda Yoga and Satyananda Yoga. Currently he is studying clinical nutrition, life coaching and stress management. Daily rigorous YogaAsana, Pranayama, Calisthenics, Cardio and Meditation give Ishwara both connection, energy and a deep desire to make a positive contribution to society. A mostly raw, plant based diet supports the physical & inner work. Ishwara loves teaching creative Vinyasa, traditional Hatha, Pranayama, Yoga Nidra and Meditations, all grounded in the breathing experience. Ishwara sees the Yoga practices as a foundation, a starting point, initially for self-awareness and honesty, then for discovery and transformation, both physical and spiritual. Ishwara brings warmth, integrity, fun, knowledge and spontaneity to his teaching. Lisa has been teaching yoga since 2001 and is regularly inspired by the profound positive affects of this ancient practice. 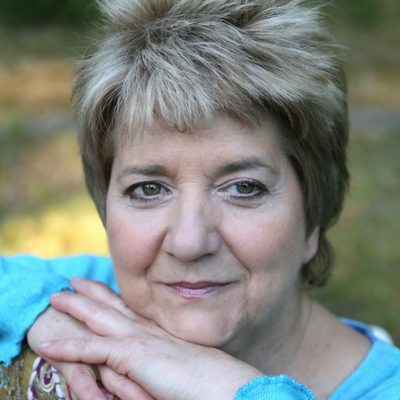 Lisa strives to learn more and attends yearly workshops and training intensives with teachers from around the world. She is currently enrolled in intensive training with ParaYoga, which provides a living link to the ancient traditions of yoga, meditation and tantra. Lisa weaves together Vinyasa Flow, ParaYoga, Restorative Yoga, Sivananda Yoga and Mindfulness to create a practice that allows you to have a deeper understanding of your Self. Her holidays always follow a theme throughout the week, this could be learning more about the Koshas (the 5 sheaths), the Chakras (the energy centres), the Sutras (yogic teachings) or the Yamas and Niyamas (ethical goals). By the end of a week with Lisa you will feel empowered and inspired, just as she is, by the wonders that yoga has to offer you. Kath has been teaching yoga in London since 1997. Her formal training includes Iyengar and Sivananda Teacher Trainings, a Yoga Therapy Diploma and a consistent Astanga practice for many years. Over this time she has worked with many inspirational teachers in various approaches, including yin, restorative and yoga nidra. 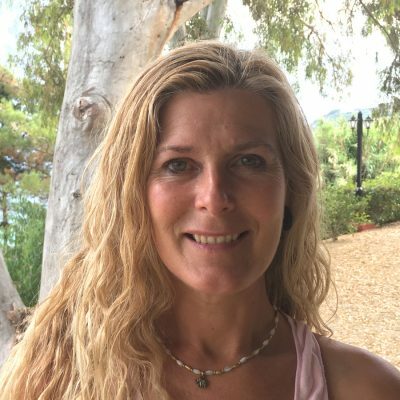 Over the last 10 years Clive Sheridan has been her main teacher and she been incorporating more pranayama and meditation into her practice and teaching. Her teaching style is grounded in the alignment of the Iyengar system but greatly influenced by the dynamic flow of astanga and vinyasa flow, while incorporating more restorative practices as appropriate. Her intention is to share her love for the yoga practice and share techniques that leave the body and mind relaxed and revitalised – and to make yoga practice accessible to all, whatever level. Having trained as a massage therapist she tends also to use touch, hands on adjustments, as a tool for teaching. “By the practice of meditation” the master said “you will find that you are carrying within your heart a portable paradise” Paramahansa Yogananda. 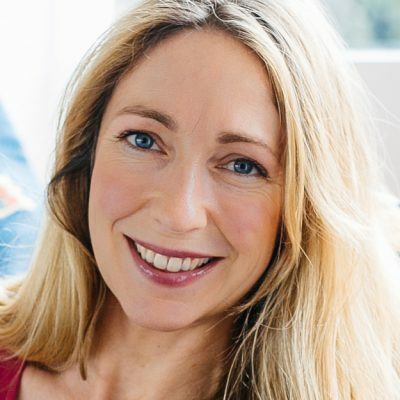 Lara Stapleton is a truly nurturing and attentive Scaravelli inspired and Hatha Yoga teacher with extensive training and a deep self-practice for over 14 years. This shines through in her teaching as she has a strong intuition of what is going on for each individual in a class. She cares deeply about her students, inspiring and supporting them to develop both on and off the mat. Her style is gently powerful with special attention on the breath, allowing for growth in ones own internal awareness and awakening the spine, creating flowing wave-like movements and natural rhythms as well as working deeply from the ground up. Her classes allow you to work profoundly from the inside out on individual areas of resistance, injury, deep emotional blockages and alignment with grace and softness. Lara puts her sensitivity as a teacher down to a strong one-on-one approach: “I’m able to adapt yoga to the individual rather than the individual to yoga”. Lara’s philosophy and teachings are inspired by the spirit and practice of moving into stillness, to experience your true being. Her work and practice have been greatly enthused by her teacher John Stirk. Lara’s areas of speciality are spinal rehabilitation as well as being a trained Aromatherapist. Rory is one of Bristols most popular teachers. He has a breadth and wealth of experience, inspired by many systems of hatha yoga, martial arts and radical minds. His extensive and ongoing study with one of the worlds leading and much revered asana teachers, Dona Holleman, continues to elevate and deeply enrich his practice, knowledge and teaching. His in-depth classes seek to reconnect and harmonise body, mind and spirit. The foundation of his philosophy and teaching is rooted in awareness, breath, and an understanding of the physical and subtle bodies. He is passionate about yoga asana in terms of approach, application, technique, form and essence. His classes deliver a deep and strong practise, and can seamlessly accommodate both those newer to yoga through to more long term practitioners and teachers. Rory believes we all have the capacity to find our still point, calm zone and true center, whenever we desire. The aim of his classes is to navigate you there. Rory co-runs Bristol based Yogakutir with his partner Dory Walker. Dory has experienced the true spirit of yoga as transformational practice. She believes in the power of yoga to guide conscious evolution, individually and collectively. Certified to advanced level and teaching full time since 2001, Dory has trained with various yoga schools, amongst them Sivananda (traditional hatha Yoga), Satyananda (yoga nidra and meditation),Khrishnamakarya (Vedic Chant) and Dona Holleman (enlightened asana work), as well as studying yoga therapy with the Biomedical Trust. 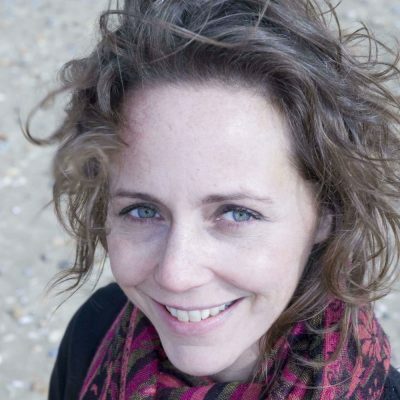 Dory teaches retreats and teacher training programmes internationally. Through her own practice Dory has discovered that regular practice promotes effective, positive and healthy living and is inspired to help others establish a strong practice in their own lives. She believes strongly in making the yoga (union) adventure joyful, keeping it light and remembering to laugh! She is a dedicated yogini and mother. I teach and practice yoga because I love to be reminded of what it is to pause in the day and become a little curious. Curious about what is actually going on inside, and what it is to be fully human. I believe the inner eyes and ears are already there, simply waiting to be revealed through a quiet attention that naturally brings us into the present moment. A peaceful place free from the need to be anybody or anything. Where the unnecessary drops away and a new quality of aliveness is experienced. A place of connection and heart opening in which our own unique rhythm and being can be discovered and honoured. This is a little of what yoga is for me. Trained in and inspired by the teachings of Vanda Scaravelli I have been sharing what it is to move from the spine and the breath, with an awareness of the ground’s support, so that our body-mind wisdom might express, since 1995. Working also as a biodynamic craniosacral practitioner, I use touch in a gentle hands on approach to invite a deep listening in students and encourage them to feel their way into postures. I have recently moved to Spain and am living my dreams of being part of and creating a community based on yogic and permaculture principles. Alicia is known for leading joyful, dynamic classes that keep a strong focus on functional alignment. That means you get to move the way your body is designed to move – building strength and openness in a gradual, safe way. Bringing years of experience in Vinyasa Flow Yoga to the mat, as well as a background in Thai Yoga massage, Alicia’s classes are the perfect balance of effort and ease. Alicia received her 500-hour certification after training intensively in India and Thailand. She currently leads classes, workshops, and retreats in Cornwall and teaches internationally with Frog Lotus Yoga Teacher Training programs. Her enthusiasm is infectious, and students appreciate her ability to translate the ancient teachings into an accessible, uplifting message for the modern practitioner. Going on to train as a yoga teacher with yogahaven in Morocco, Will now runs retreats in various locations around Europe as well as teaching events and classes throughout London including hot yoga, vinyasa flow and restorative. With a fun and playful teaching style, Will’s classes are strong, upbeat and lively.